Last month, a post on my friend Marli’s blog caught my attention. She shared a post about Timothy, a little boy in China who has both Downs Syndrome and a heart defect. Marli’s post linked through to the original post, written by Hannah “Jiejie,” a young woman who knows and loves Timothy. After reading the post, I contacted Hannah to see if she’d like to post about Timothy here on TIO. She replied that Timothy had received the full funding for his heart surgery, but she would love to post about another little boy. Here’s that post. When you think of orphans and orphanages, maybe the first thing that pops into your mind is a row of cribs filled with babies. This is an accurate picture. But when I think of orphans I see another image; the two, three and four year-olds who are abandoned. These are the children who have known a family, and who have been loved and treasured by their parents, but when the medical needs became too much, or when the heart defect was diagnosed and a life-saving surgery quoted at way more than the family could ever expect to borrow from relatives, hope was abandoned and the children left alone at the orphanage gate. This is Kang’s story. I know nothing of his birth parents. I know little about why he was abandoned, but I can guess. Kang is almost three. His lips are blue, his fingertips are blue, he is weak and he is small. He has little strength to do anything. 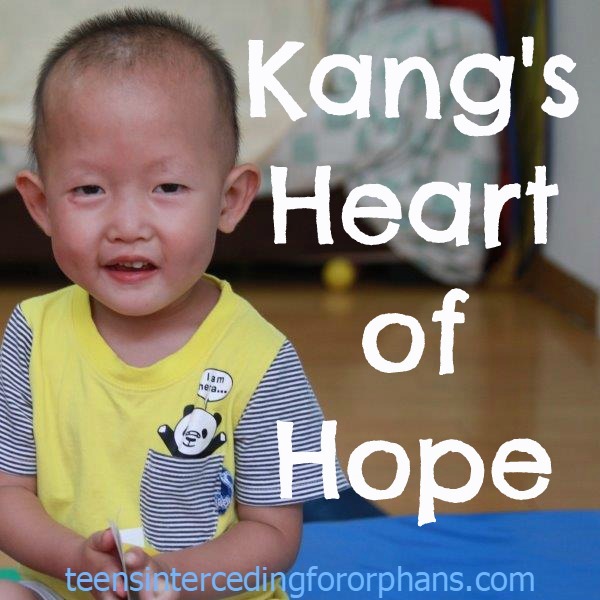 Kang has a very complicated heart defect. I can only image that his parents took him to many doctors and most of them probably said that there was nothing that they could do – only big hospitals in the city have the expertise to do a surgery that would repair Kang’s heart. Maybe they took him to one of the bigger hospitals in the city? Maybe the hospital gave them an estimation of what the surgery would cost. They must have cried-ugly that night as they watched their little boy sleep peacefully without a clue that his parents were about to make a decision that would change his life and his story forever. Kang was abandoned just a few months ago. He is almost three, y’all, almost three. Think about your own two year-olds. Are they aware that they have a mommy and a daddy? Do they understand that you are there to take care of them and meet their needs? They do! And so imagine what Kang’s little heart must have done when he woke up and found himself away from the family he had known and surrounded by the chaos that is a toddler room in an orphanage. Busy nannies scrambling to meet the needs of dozens of children… crying children who just want to be held… fighting children who have learned how to get their own way… quiet children who know that no one will come. And so Kang’s broken heart that couldn’t provide his body with the oxygen it needed, broke again. 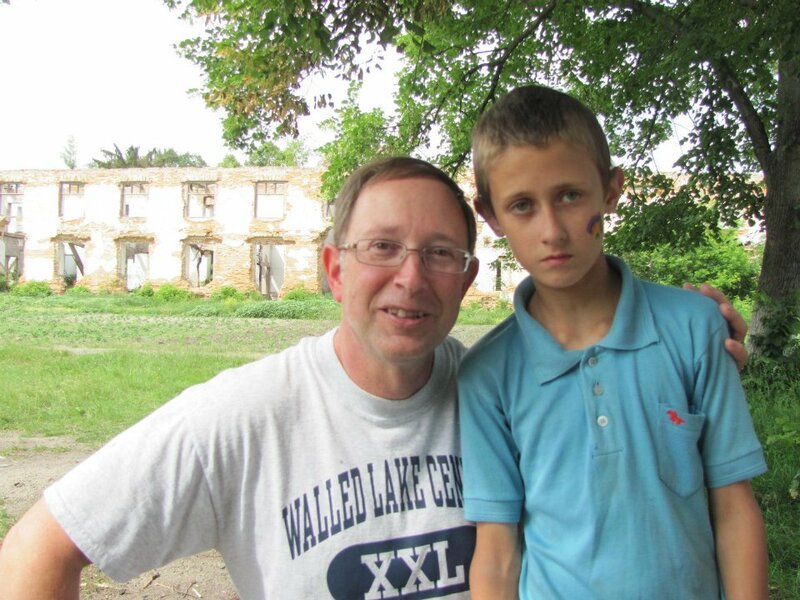 We worked with the orphanage and they were able to get him taken in to the local hospital for some tests. The doctor said that surgery was necessary, but impossible. We took the results to some of the excellent cardiology hospitals in Beijing, and the surgeons said that surgery could be done. They suggested that they could repair his heart with one major operation, and that it would cost $20,000. Taking a deep breath we stepped back… wow. That’s a lot of money. We looked at some other hospitals and applied for a government grant. The government rejected Kang’s application, saying that it was too late, he should have had surgery years ago and that there was no hope. I don’t know about you, but the thing that gets me riled up the most is when somebody says that there is no hope. I think that the hairs on the back of my neck visibly stand on end. And so when the government rejected Kang’s application and refused to fund his surgery because they said he, “has no hope,” I decided that we have to do something. Yes, it’s true, Kang’s surgery is complex and there is a chance that he will not survive. But do we have the right to make this decision? Do we have the right to choose not to give Kang his only hope of survival? Where do we place our trust? Kang’s surgery will cost between $16,000 and $20,000 USD. This is a lot of money, but not if we stand together, a little here and a little there. It will add up. Are you willing to take the risk, to give Kang hope? His life is worth it. 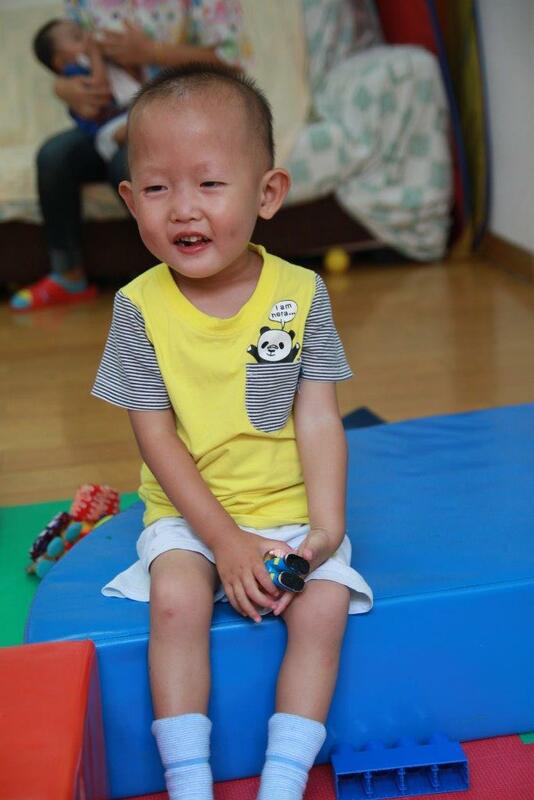 Kang is currently being cared for by Little Flower Project’s baby home in Beijing. His fundraising page is here. I hope you didn’t mind the slightly-longer-than-usual post today! If you have time an inclination, I’d really recommend checking out Hannah’s blog, Loving Dangerously. It’s a lot of fun to read through. 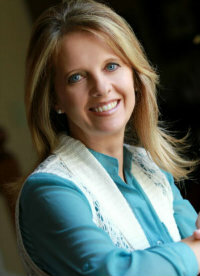 Kay Bratt, author of Silent Tears, graciously agreed to do an interview for TIO. It’s always exciting to feature someone who is active in helping orphans. I hope you enjoy reading her answers as much as I did! What’s the first thing someone with little or no knowledge of China’s orphans know about them? 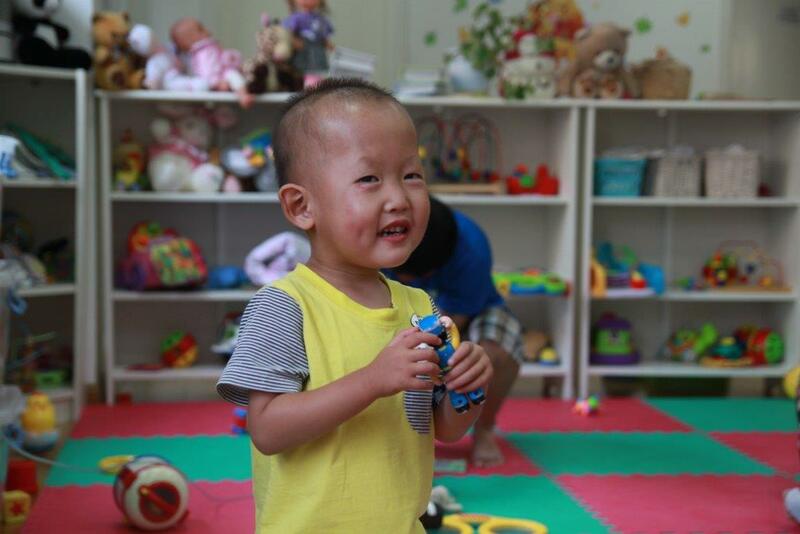 Many of China’s orphans aren’t technically orphans. Because of the countries lack of medical care assistance to the lower classes, many parents abandon their child out of love and hope. Because the majority of abandoned children have some sort of illness or special need, the parents have left them hoping that when their child is placed in the orphanage; the government will step up and care for whatever special need they may have, to give them a chance at life. How can teenagers help orphans in china besides donating money? Raising awareness about children’s needs in China is as important as donating money. If no one knows about these children in need, how can they receive the assistance they deserve? Find an organization to follow and tweet the stories, share on Facebook, explore the subject as a homework assignment, or even start a support group. What are some of the basic rules and regulations surrounding orphans and adoption in China? The rules and regulations surrounding orphans and adoption in China are many and complicated. The important thing to know is that domestic adoption (adoption by the Chinese people of their country’s children) is becoming more prevalent. In small steps, the government is trying to raise awareness about these children as well as squash the age old stigma of adoption. In past times, many Chinese felt that to take in a person not of your blood was to bring bad luck upon your family. With the newer generations, these taboos are starting to disappear. What do you feel needs to change in the orphan care and adoption procedures? I feel that China needs to place orphan care at the top of their priority list. When I travel within China and see the millions of dollars spent on beautifying cities with landscaping, buildings, and the many lights everywhere, it is disappointing because I know there are cold and hungry children scattered throughout their cities in dilapidated orphanages. Feed and warm the children first! Decorate the cities next! Do you have any other comments, suggestions, or insights concerning this topic? It is important to remember that the people of China are not to be blamed for the epidemic of abandoned children in their country. It is the government’s responsibility to step up with support that can enable parents to keep their children. Support including food, medical care, and education for all status levels. The people love and want to keep their children, but so many have a difficult time just feeding and medically caring for themselves. Many thanks to Kay for taking the time to answer these questions! What do you guys think about this information? The winner of the Silent Tears giveaway is Spencer R. I think most of you will agree he has the biggest reason to want to learn about Chinese orphans! Stay tuned for future giveaways. Step through the doors of a Chinese orphanage. When Kay Bratt’s husband accepted a promotion that required him and his family to relocate to China, Kay took the opportunity to fulfill her dream of living a meaningful life. She had no idea of the ways her life would change. Her volunteer work in the orphanage opened her eyes to the desperate need and horrifying neglect suffered by China’s abandoned children. It became her mission to brighten the lives of these little ones and give them hope. I just finished reading this last night, and found myself processing and digesting a whole new batch of realities. It’s a powerful book. Here’s the deal on borrowing the book. Amazon allows some Kindle books to be lent out. It’s a one time thing and the loan lasts for fourteen days. So, if you’ll have time to read a 333 page book in the next fourteen days, please enter! You don’t have to own a Kindle in order to read the book. Amazon offers a free “app” you can download to your computer. I have it on my computer and it works fine. Follow the links to get the kindle reader for Windows 7, XP, & Vista, Windows 8, or Mac. Most giveaways are done by random draw, but I’m going to mix it up a bit. I want this book to go to someone who cares about reading it and will learn from it. So, leave a comment telling me why you want to read Silent Tears, and I’ll loan the book to whoever gives the most convincing reason (or at least the reason I find most convincing). I apologize I can’t lend the book to all of you, but don’t give up if I don’t lend you this one. I hope to do this again! The opportunity to enter this giveaway ends on March 25th. Don’t forget to leave a comment explaining why you want to read this book. Please tell your friends about this giveaway! The Olympic games draw a lot of attention and interest from people around the world. If you mention Russia right now, everyone’s first thought will probably be the games in Sochi. However, the Olympic games only last a short time, and they don’t eradicate problems within a country. Russia has held a special place in my heart for a long time. It started when I read a story about a street boy in Russia, trying to survive in the aftermath of WWII. Something about the story touched my heart, and I started dreaming about someday adopting from Russia. Unfortunately, unless something changes, that door is now closed to me and hundreds of others. A little over a year ago, Russia closed it’s doors to would-be adopters from the US. Lots of people know about the scandals surrounding several Russian adoptions, including the story of a mother who put her adopted son on a plane by himself and sent him back to Russia. It’s easy to assume that stories like these caused Russia to close it’s doors to adoption. But that’s not the case. I’d heard many times that the closing of Russian/US adoptions was political posturing, but never knew the full story until yesterday when someone mentioned a story featured recently on 60 Minutes. The video is embedded below. Basically, an American business man working to fight corruption in Russia stepped on a few too many toes and ended up getting thrown out of the country. 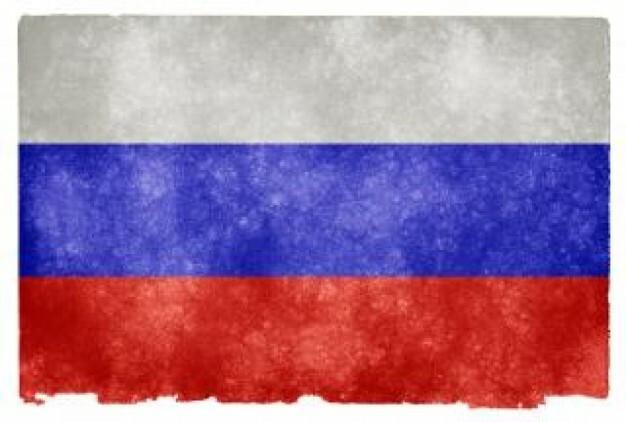 When Russian police raided his Russian office, seized ownership papers, and gave away control of his three companies, he hired a Russian man to investigate. The hired man uncovered more corruption and took it to court. A short time later, he was also arrested for tax evasion. He died after being held in prison for a year without a trial. The original American business man then flew his investigator’s family to DC and told American officials what happened. America responded by banning a bunch of Russians from the country. Russia responded by prohibiting Americans from adopting Russian children. Now, I haven’t done a lot of research about the corruption in Russia or the validity of the American business man’s story. I assume he must have some pretty good evidence if the American government took action on his story. But the bottom line is that children are being kept from families who want them because of politics that have nothing to do with adoption. It is estimated that only 10% of children who grow up in Russian orphanages go on to live productive lives. A large majority turn to crime and prostitution. I’m not sure what we can do about this. Like I said, I just learned the full story yesterday. But being educated about what’s going on and praying about it is a great first step. I encourage you to watch the video and follow the links throughout this post to learn more. This is a video Karen Springs (yes, I know I mention her a lot) sent me when I asked for more information about older orphans and orphan graduates in Ukraine. Enjoy! My introduction to Rick Barry were his books, Gunner’s Run and Kiriath’s Quest. After reading both, I asked him to do an interview on my book blog. As I explored his blog, I found out that he frequently visits Ukraine and Russia and works with orphans in those countries. When I contacted him to ask for a guest post on TIO, he was kind enough to carve time out of his busy schedule to write this. I hope you enjoy it. And please do use the links to check out his books. Gunner’s Run is my favorite. As a full-time worker with a Christian ministry active in Russia and Ukraine, I’ve seen kids in sad situations. Some have been homeless living on the streets. Sometimes they’re in orphanages, because one or both parents have died, or because they have a parent in prison, or because the parents are addicted to alcohol and simply can’t care for their own kids. Sad. However, praise God, there are kind-hearted people who do what they can to help. Some coworkers of mine have regularly visited orphanages to take gifts of clothing, to present Christmas programs, to offer Bible lessons. One church in Lutsk, Ukraine, daily offers warm meals to kids whose parents have little income, and these kids, too, have received gifts of clothing and blankets from caring Christians. The especially moving thing about this church is that teens themselves help. These are teens who used to be some of those poor kids who needed a hand and discovered God’s love in the process. Now they help others. A girl named Ira used to get laughed at all the time because of her appearance. But she found support and understanding among our children. After six years, she has grown, changed, accepted Jesus into her heart and become a child of God. Now she is helping to make crafts with the children and is very good at drawing. Two sisters once came to our church. One of them is Alyona, and has now become my daughter-n-law. Her sister is Julia, now also a sister in the Lord. My daughter taught her to play the piano, and now Julia plays and sings in the church worship team. Once they were weak and poor, but now are blessed children of God. Glory to our Lord, He makes strong from the weak. I understand that most people can’t travel overseas to help in an orphanage. But many of us have kids right in our neighborhoods who have less money. Or who get laughed at. Or whose parents don’t pay attention to them. Could you be a friend to them, even if they aren’t orphans? The last paragraph of Mr. Barry’s post makes a good point. The Bible specifically tells us to help orphans, but it also tells us to love our neighbors. Do you have any ideas for how you could reach out to hurting kids close to your own home?